Nikodem Bartnik had a small problem. When soldering, he had to move his light around in order to properly see what he was working on. In order to avoid this constant interruption, he built a 3D-printed lamp capable of manuevering like a small robot arm under voice command. An Arduino Uno controls the light’s movement directly via three servos, and a relay flips the switch on and off. 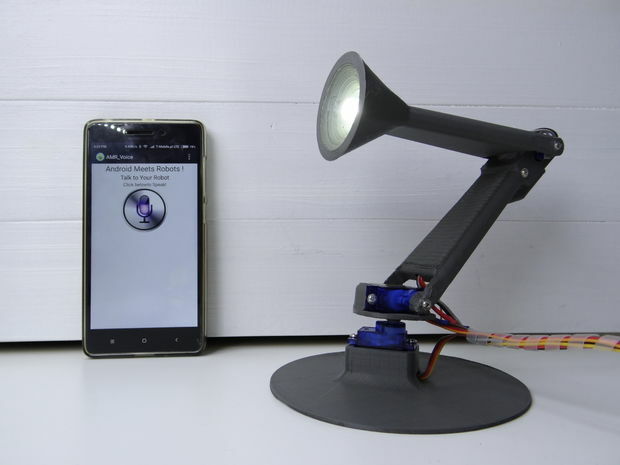 Instead of adding voice recognition hardware to his robotic light, he cleverly linked it with an Android app over Bluetooth, using his phone to translate spoken words into serial commands. 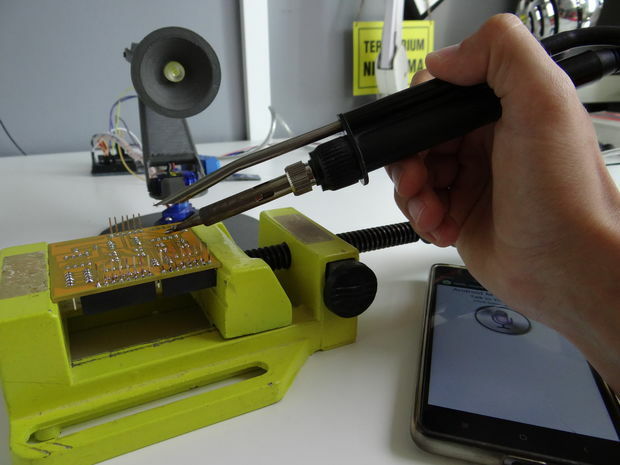 Although great for soldering, this device can certainly come in handy when reading books or even finding your way to bed at night. Want to create your own? You can find more details on Bartnik’s Instructables page here.